Oh come on Windows, you can do better than that. When people see a hyperlink, they expect to be able to click it. Failing that, they expect to be able to select the text and copy it. 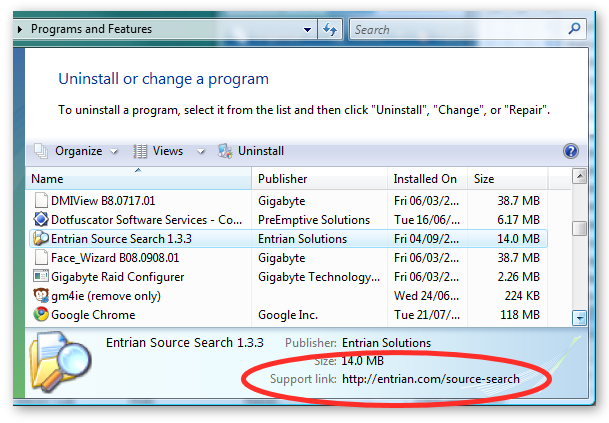 When the link is for Technical Support, these things become even more important. When the link is for my website, this sort of failure makes me cross. Update: This issue is fixed in Windows 7, so yes, it turns out that Windows can do better than that.